“The Raid: Redemption” Raises the Bar! I just wanted to take a second of your time here to let you you all know that I saw “The Raid: Redemption” last night on the big screen and it’s by far living up to all the hype. This new Indonesian film pulls no punches and sets the standard for all action films that dare to come after. Sorry future action films but at this point you may want to throw in the towel! Stallone if you haven’t already seen this movie you may want to go back reshoot the upcoming Expendables 2 because I’m fairly certain it ain’t gonna come anywhere close to The Raid. The last films I saw that came anywhere close were those of Tony Jaa like my personal favorite The Protector and his Ong Bak stuff. But even those now seem to have been under minded by The Raid. 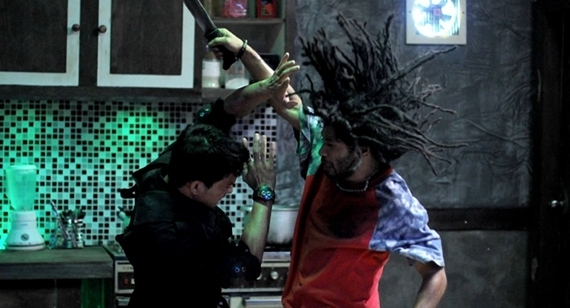 I am sure it won’t be long before the films main star Iko Uwais hits American films and director Gareth Evans as well. It’s funny because Holly wood has already jumped all over this film and are planning a remake…uggh….why spoil a beautiful thing? How about just push this original version? Also the films other star was Pencak Silat, the Indonesian martial art. Watching this style of fighting is truly breathtaking however glamorized or exaggerated it was. Another star worth mentioning from the movie was Yayan Ruhian who plays “Mad Dog” the main crime lord’s number one henchman. He really serves as the movies major villain and his final battle is one that will be remembered for decades. Here’s a little video I found that showcases some real Pencak Silat in action in the real world…. The Two Most Outrageous Upcoming Action Flicks!! Well here are a couple action flicks I dare any major studio to try and beat! Sorry Stallone I am sure your upcoming PG-13 Expendables II will be fun but in comparison “The Raid: Redemption” it’s going to most likely end up looking like an episode of GI Joe from the eighties! 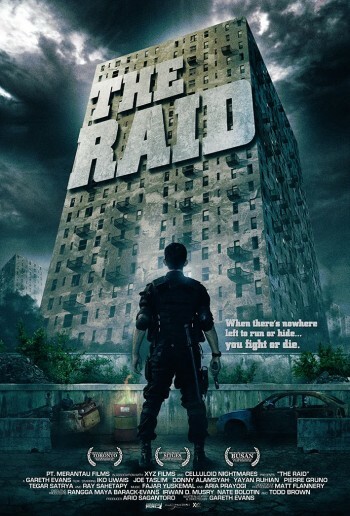 But so far from what I heard The Raid is being hailed as arguably the best action flick of all time. So far by seeing several clips and hearing the synopsis it’s quite possible this Indonesian film will win the medal! The next movie looks like it just has to be seen to be believed. It’s opening this week in Portland Oregon where I live and yeah well it looks like the most ridiculous action movie of all time. 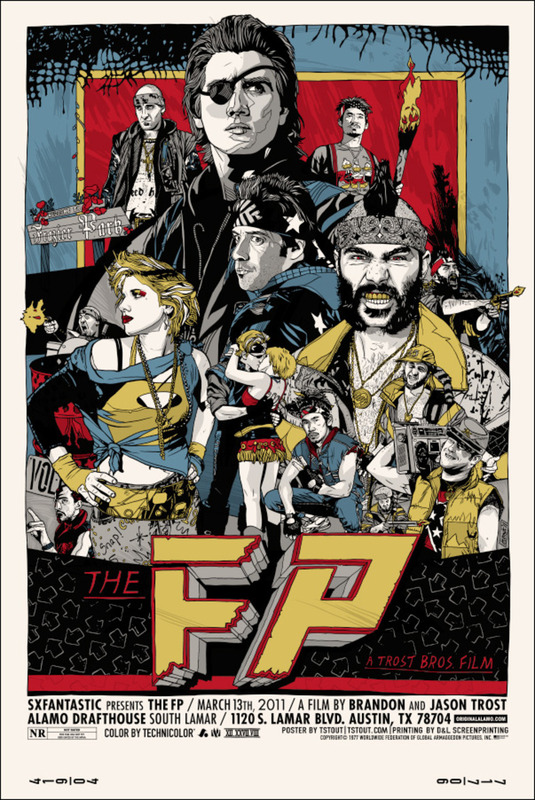 “The FP” involves two rival gangs who do battle by way of deadly games of Dance Dance Revolution. Yeah you heard that right somehow you can die by playing this game, I am not sure how but apparently in this movie anything can happen! Obviously this movie wasn’t meant to be taken seriously-but if it had been it would have been even more brilliant! Listen to some of the dialogue for cryin’ out loud! I am not sure if the idea loses it’s charm quickly in this movie but I am willing to bet you never see anything quite like it ever again! This is the “Rocky” of lame dance games! Check it!